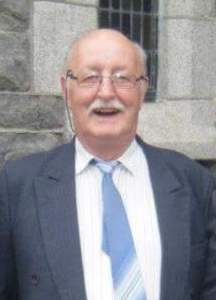 The death occurred, peacefully at his home, on Monday, September 3 of Joe Flood, Greenhall, Newtowncashel, Longford. Deeply regretted by his wife Mary Jo, sons and daughters Jimmy, John, Ger, Paddy, Maria (McLoughlin - Roscrea), Joseph, Michael, Breda (Slattery - Claremorris), Bernard, daughters-in-law, sons-in-law, grandchildren, sisters-in-law, brothers-in-law, cousins, relatives, neighbours and friends. May he rest in peace. Reposing at his residence in Greenhall (N39 N293) from 2pm on Tuesday, September 4 and also on Wednesday, September 5 from 2pm until 5pm followed by removal to The Church of the Blessed Virgin, Newtowncashel arriving at 7pm. Mass of the Resurrection on Thursday, September 6 at 12 noon, interment afterwards in Cashel Cemetery. Family flowers only please, donations, if desired, to Longford Palliative Care, c/o Glennon Funeral Directors or any family member. Please note there will be a one way system in operation to the house with entry only from Clonmee, there will be Stewards and directional signs in place. The death occurred on Saturday, September 1 of Edward ‘Teddy’ O’Neill, Springlawn, Longford and formerly of Carna, Suncroft, Co Kildare. (Ex. 4th Motor Squadron and 4th Cav.). Predeceased by his wife Margaret. Teddy will be sadly missed and remembered with love by his family, daughters Sylvia, Lesley and Coriosa, brothers Joe and Martin, sisters Marie, Joan and Bernie, sisters-in-law, brothers-in-law, sons-in-law, grandchildren, great-grandchildren, nieces, nephews, relatives and friends. May he rest in peace. Reposing at Glennon’s Funeral Home on Tuesday September 4 from 4pm until 6pm followed by removal to St Mel’s Cathedral, Longford for prayers at 6.30pm. Mass of the Resurrection will take place on Wednesday, September 5 in St Brigid’s Church, Suncroft at 12 noon, interment afterwards in Holy Cross Cemetery, Suncroft. 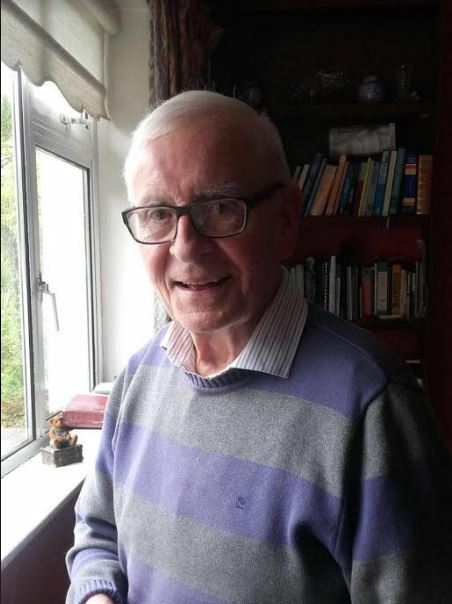 The death occurred on Saturday, September 1 of Paschal Quinn, Ardnacassa ,Dublin Road, Longford Town, Longford, former principal Melview NS. Predeceased by his loving wife Deirdre. Sadly missed and remembered with love by his family Margot, Pat, Terry, Ruth and Catherine, sons-in-law Pat, Gavin and Cillian, daughters-in-law Mary and Celia, sister Annette, brothers Noel, Sean, Eamon and Frank, sister-in-law, brothers-in-law, grandchildren Sarah, Ellen, Katie, Dearbhla, Aaron, Rachel, Catherine, Julia, Charlie and Senan, great-grandson Christopher, nieces, nephews, relatives and many friends. May he rest in peace. 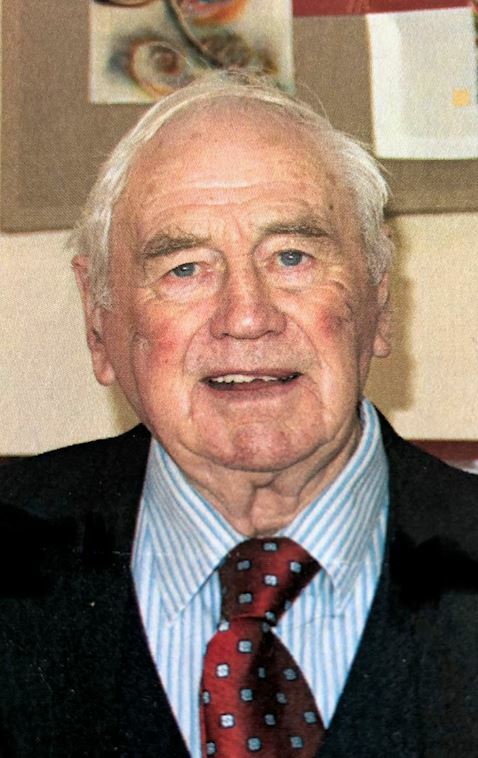 Reposing at his home in Ardnacassa on Monday, September 3 from 3pm until 9pm. Removal on Tuesday, September 4 to arrive at St Mel’s Cathedral for Mass of the Resurrection at 11am, followed by cremation at Lakelands Crematorium, Cavan, at 2pm. Family flowers only please, donations, if desired, to St. Christophers, c/o Glennon Funeral Directors or any family member. The death occurred, peacefully, at Sligo University Hospital, on Saturday, September 1 of Margaret ‘Peg’ Hegarty, Corduff, Gorvagh, Mohill, Leitrim. Predeceased by her husband James and grandson Tom. Deeply regretted by her sons Owen and Roy, daughters Margo and Debbie, grandchildren Jimmy, Aaron and Andrew, daughters-in-law Josie and Debbie, son-in-law Pat Towey, Margo partner JFK, nephews and niece, relatives and friends. Rest in Peace. Funeral Mass on Tuesday morning, September 4 at 11am in St Patrick's Church, Mohill, followed by burial in the adjoining cemetery. House Private Please. The death occurred, tragically, following an accident, on Friday, August 31 of Brendan Heery, known as ‘Flatley’, of Cormeen Lower, Mullagh, Meath / Mullagh, Cavan. Deeply regretted by his sons Kevin and Emmett, mother Masie, brothers, sister, nephews, nieces and extended family and friends. May He Rest In Peace. Reposing at Clarke's Funeral Home on, Tuesday, September 4 evening, from 5pm until 9pm. Funeral Wednesday, September 5 to arrive at St Mary's Church, Newcastle for Funeral Mass at 12 noon with burial afterwards in Moynalty Cemetery. The death occurred, peacefully at her home, on Friday, August 24 of Kathleen ‘Peggy’ Sullivan (née McHugh), Fair Lawn, New Jersey and late Toghernaross, Kilcogy, Cavan. Predeceased by her husband Danial. Sadly missed by her loving sons Seamus and Kevin, daughters in law Maureen and Sharon, grandchildren Sean, Ryan, Caitlin, Michael and Casey, relatives and friends. May she rest in peace. Removal arriving to Our Lady of Lourdes Church, Mullahoran, on Tuesday, September 4 at 7pm. Funeral Mass on Wednesday, September 5 at 11am. Interment afterwards in the adjoining cemetery.